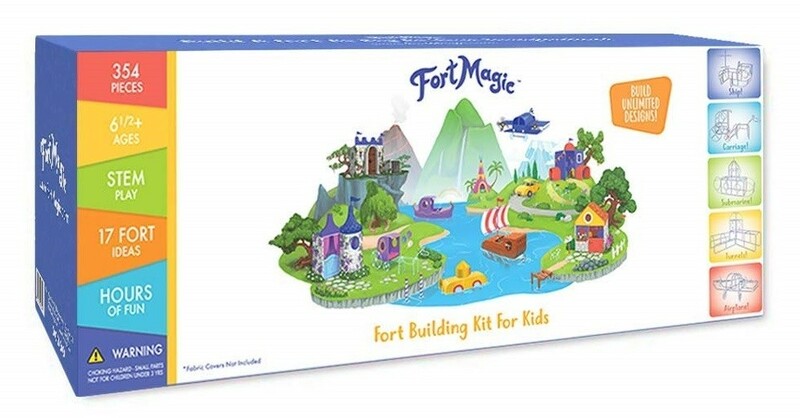 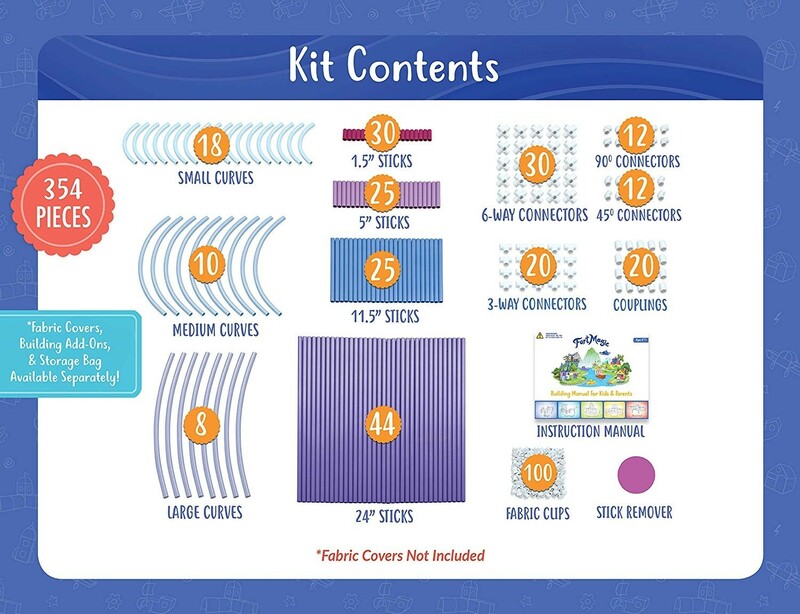 Enjoy modular fort building with this amazing 354 piece kit from Fort Magic! 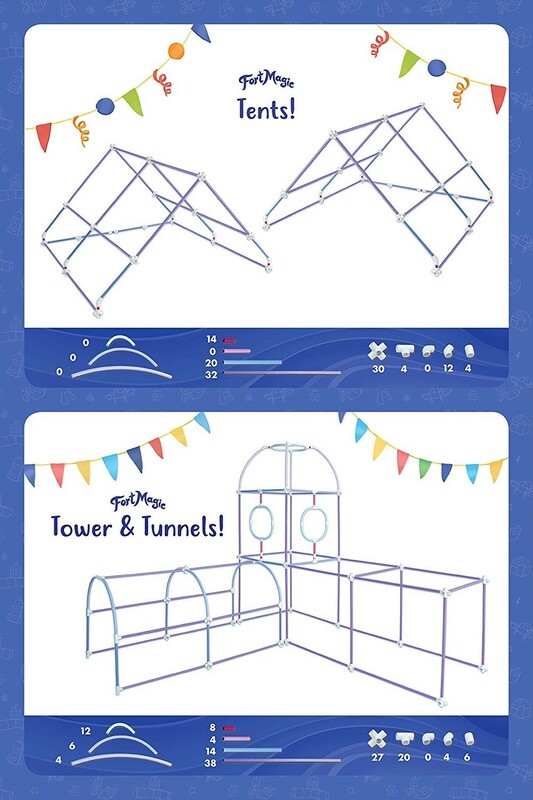 With 3 different sizes of curved sticks, 4 different sizes of straight sticks, 5 different connector shapes, and 100 fabric clips, they'll be able to build spectacular shelters. 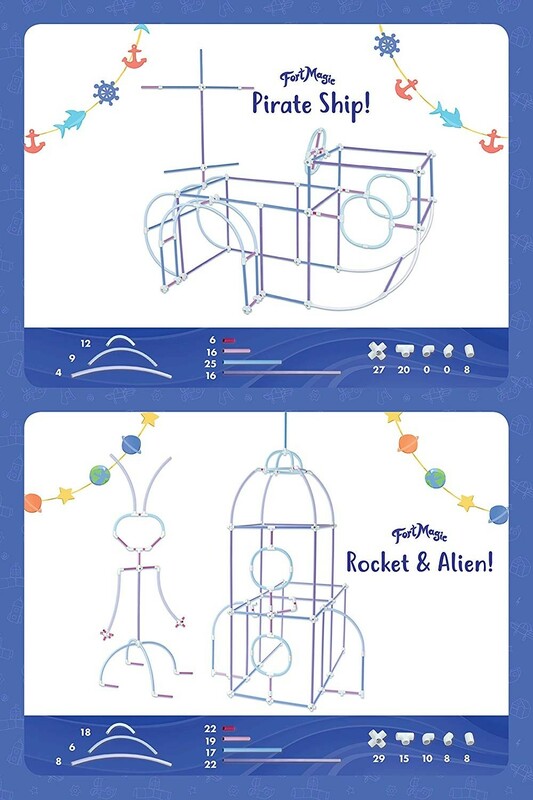 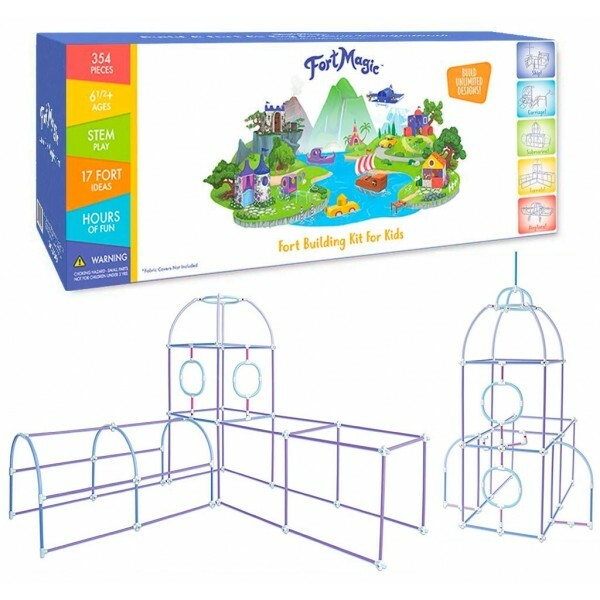 The 24-page full-color manual provides directions for building several sizes and shapes of forts, as well as tunnels, a castle, a playhouse, a car, a plane, a ship, and a submarine. 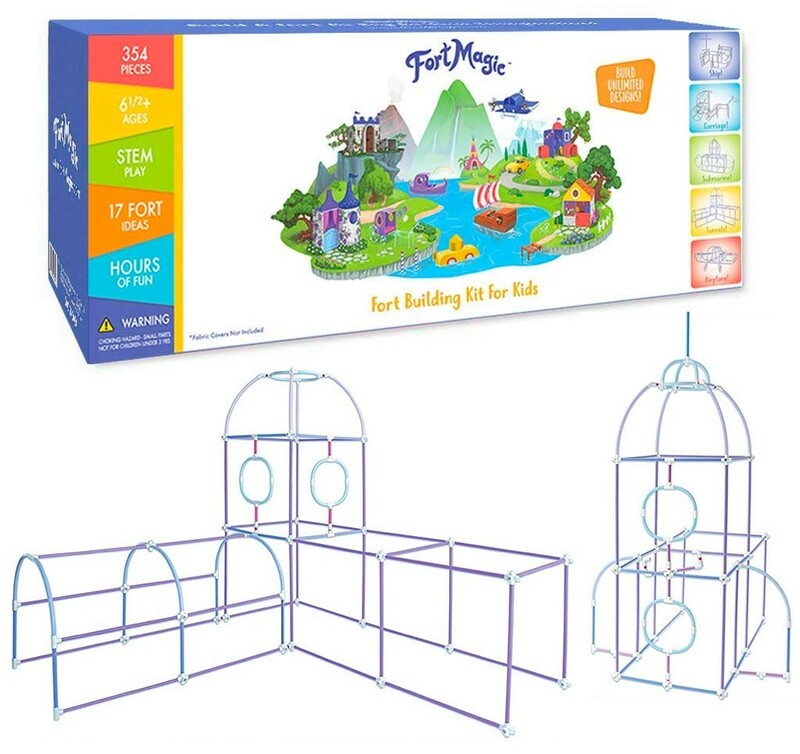 For more play spaces to spark the imagination, visit our Play House / Spaces Collection.